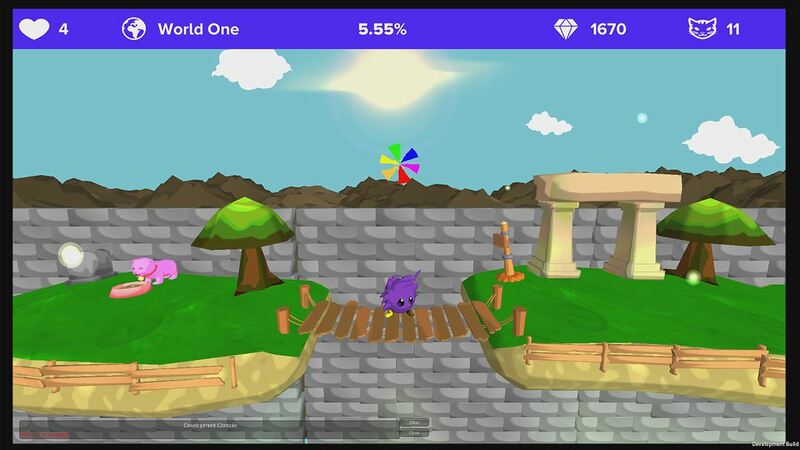 Exclusive Q&A interview with Team Frizz regarding Frizzy on Xbox One! In some parts of the world, Frizzy has recently dropped onto the Xbox One Games Store. It looks a delightful little title and so we just had to find out more. The best way of doing that? Grab the main guy behind the game…so we did! 1. Please introduce yourself. What is your role at Team Frizz and on your upcoming Xbox One title, Frizzy? My name is Brendan Rivers, I’m the Team Leader at Team Frizz. I did most of the programming, and the music for Frizzy. If you like platformers and physics, Frizzy is a fun little title that allows the user some freedom and expects you to enjoy yourself. I don’t know, I’m not much for sales. It’s good for kids and stuff too. 3. Where did the idea for Frizzy come from? Frizzy, as a concept project, started out as a bunch of cubes labelled with letters. A “G” cube for ground, etc. We came up with the flinging mechanic in that test environment. From that mechanic, the story of frizzy and his static clinging self came to be. 4. Have any other games had a major influence on not just Frizzy, but your career as a games developer? I love a lot of different kinds of games. The other programmer (Patrick) and I both played a lot of competitive games as children, games like CS:GO, starcraft, league, etc. We kind of wanted to make the opposite of that for Frizzy. A fun game that wouldn’t make people break their controller in rage. We wanted it to be difficult, but we also wanted it to be fun. 5. How tough will the average gamer find Frizzy to complete? Are the puzzles included in Frizzy all ‘do-able’ or will some gamers need to rely on a huge slice of luck? With that in mind, what is there to keep us going back for more? 6. How many levels will we find in the game? 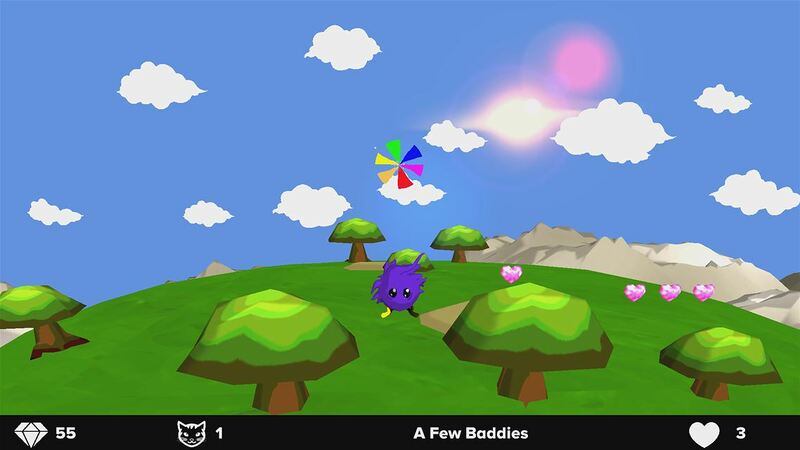 Frizzy is a short adventure with about 20 levels. 7. We’re guessing that not every single idea made it to the finished game. What were the hardest omissions to make? Why were these ultimately made? 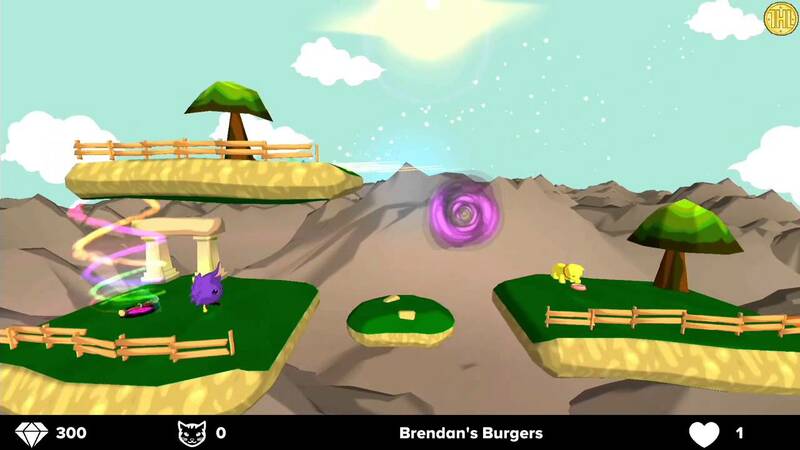 One of the main mechanics is the player’s ability to create “Balloons” in the environment at will. This allows the player to slingshot around the level. At one point we wanted to expand the sandbox nature of the game to allow the player to create platforms at will as well, but this proved too buggy. Allowing the player the ability to create platforms at will rendered many levels trivial in difficulty, for one. 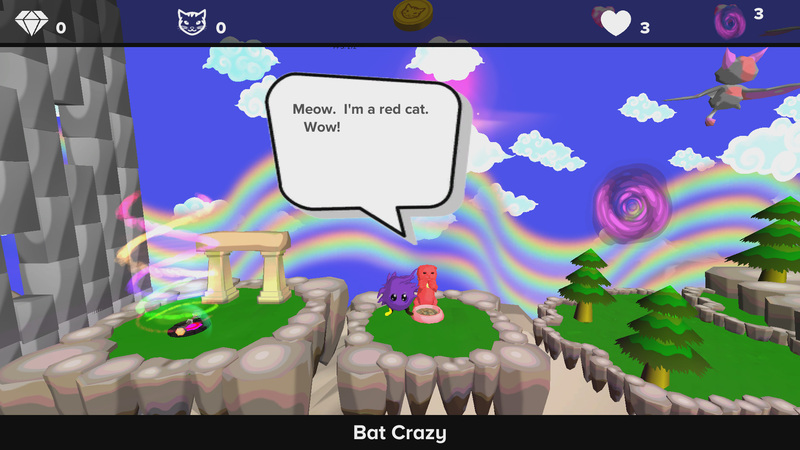 Additionally, being able to create platforms also enabled the player to inadvertently block the exit, or otherwise disallow themselves from completing a level. Properly enabling this feature would have required time we didn’t have, so it got scrapped. 8. As Xbox gamers, a huge part of our time is centered around achievement collection. What will we find with Frizzy? Any unusual objectives which work towards super cool cheevos? Frizzy has 3 main categories for achievements. 9. We understand Frizzy is a complete solo experience. Did you toy with any multiplayer ideas? There were some plans for a multiplayer coop experience, but we really couldn’t see anything huge it would bring to the table. Also, Frizzy himself is meant to be a sort of lone-wolf character, stranded out on his own, so it doesn’t really make sense for him to have a companion. 10. Do you have any plans for Frizzy DLC? Never say never, but as a Team we are pretty sternly against paid DLC, or in app purchases. For single player games we believe in 1 game for 1 price. 11. If you had to pick one standout feature of Frizzy, what would it be? 12. …and similarly, is there one single in-game moment that really brings you huge pleasure? Watching people play either of the bosses really makes me laugh. To be honest watching people die to the bosses on stream I watched on twitch was hilarious for me. The guy kind of lost his cool after a particularly long string of deaths and I thought “wow, I did that to him”. 13. Are there any future projects you are currently working on that we should be keeping our Xbox eye on? It sounds to us like Team Frizz will hopefully be dealing with many more Frizzy related projects! Many thanks to Brendan for agreeing to this quick Q&A and for answering our questions. If you’re one of the lucky ones, you can pick up Frizzy right now from the Xbox One Games Store for a measly $7.99. Let us know what you think of it in the comments below.